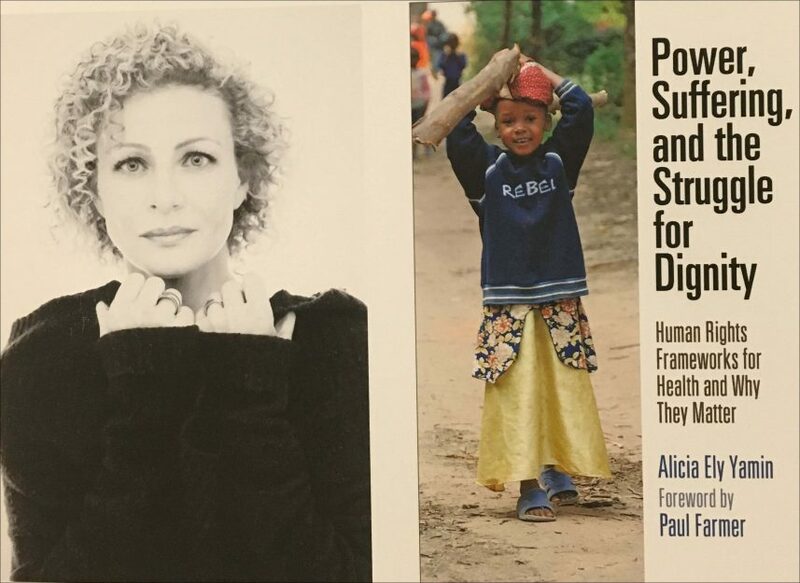 On Tuesday, January 27, Policy Director Alicia Yamin launched her new book, Power, Suffering, and the Struggle for Dignity: Human Rights Frameworks for Health and Why They Matter, with a roundtable discussion at Harvard University’s Global Health Education and Learning Incubator. Discussants included Professor Deborah Maine of Columbia University; Professor Katharine Young of Boston College Law School; Gerald Neuman of Harvard Law School; and Paul Farmer, Kolokotrones University Professor of Global Health and Social Medicine at Harvard Medical School and editor-in-chief of Harvard FXB Center’s Health and Human Rights Journal. Yamin’s book invites a diverse range of readers, including students and legal and public health practitioners, to think critically about what human rights-based approaches are and how they can be leveraged to bring about transformative social change, not only in health but across the entire spectrum of human development. Discussants characterized the book as a rich contribution spanning the too often separate worlds of global health and international human rights law. “It is a strong testimony to the indivisibility of health and human rights,” said Gerald Neuman, co-director of the Human Rights Program at Harvard Law School. The roundtable was moderated by Sue J. Goldie, Roger Irving Lee Professor of Public Health and director of the Global Health Education and Learning Incubator at Harvard University. In attendance were human rights advocates, public health practitioners, and students from various disciplines. Tuesday’s discussion will be followed by a public launch event at The Harvard Coop on Wednesday, February, 10 at 7pm. Next PostNext World Health Organization and Emergency Health: If Not Now, When?